Dhaka, Mar 29 (Just News): BNP on Thursday alleged that the filing of an appeal with the High Court by the Anti-Corruption Commission (ACC) seeking harsher punishment for BNP chairperson Begum Khaleda Zia in Zia Orphanage Trust case is not only unlawful, but also a politically motivated one. "The filing of a review petition by the ACC for increasing Khaleda Zia's punishment is completely illegal. There's no provision in the ACC law to file such a petition," he said. 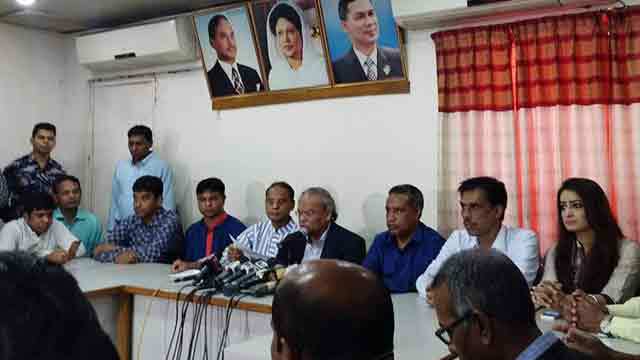 The BNP leader came up with the remarks while speaking at a press briefing at BNP's Nayapaltan central office. He alleged that the ACC filed the appeal as per the directives by the government only to harass Khaleda. "There's a heinous political motive behind the move." The High Court on Wednesday issued a rule asking the authorities concerned to explain why the jail term of BNP chairperson Khaleda Zia would not be extended in the Zia Orphanage Trust case in which she was earlier sentenced to five years' imprisonment by a lower court. On Sunday, the ACC submitted the petition seeking harsher punishment of Khaleda Zia in the case. Rizvi turned down Awami League general secretary Obaidul Quader's outline on forming the election-time government with members of the parties which have no representation in parliament, saying it will be the unilateral government of a 'bizarre' parliament. He also said if the interim government is formed with the current parliament members, only they will be able to hold a voter-less election like the one held in 2014, not any inclusive and credible one. About today's election to 133 local bodies at different parts of the country, the BNP leader said the voting was held amid rigging and violence in Awami League style. He said voting has been postponed at some polling stations in Tangail while Jubo Dal leader Abdul Malek has been shot to death. "The incidents of killing, snatching of ballot papers and capturing polling stations and resorting to violence have taken place in Awami style like in the past." Rizvi criticised the Election Commission for what he said its inactive role against the polls violence and irregularities.